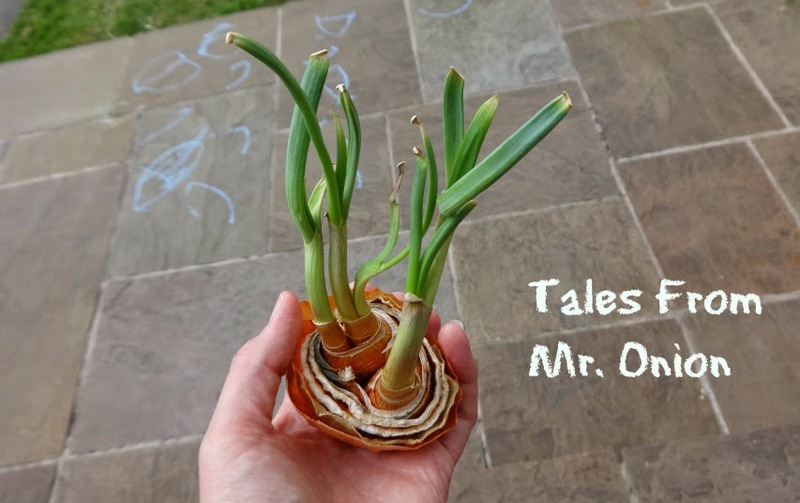 When I was decluttering and cleaning recently I stumbled across Mr. Onion, and intended on blogging about him on Conscious Mum but ended up blogging about him here. He's half the man he once was. In fact someone cut him down to size. He was abandoned, left unnoticed on a cluttered worktop. He had no water, no soil and just about managed to get some light. He reached into the inner darkest depths of himself and did the only thing he knew how to! Once his landlady found Mr.Onion, she started giving him lots of attention. His landlord was not nearly as fond, and escorted him to the bin. Lucky, the landlady saved Mr.Onion and continued to give him admiring glances. These glances mean nothing to Mr.Onion. He does not have an ego. He enjoys the feeling that his presence has added value to the landlady's life, but doesn't give it much thought. Despite Mr.Onion now being a member of the family, he still has neither soil nor water. His green shoots are as green today as they were when the landlady found him. Neither the landlady nor Mr.Onion know how many days he has left, but they will both enjoy life until all becomes clear. Mr.Onion is an inspiring member of the family showing what is possible, if we embrace our strengths whilst ignoring our weaknesses. Mr. Onion has no friends, but is strong in his solitude. The landlady likes this about him. In fact, Mr.Onion has a very special place in the landlady's heart, and she has learned more from him than she ever did from 10 years of yoga. So Mr. Onion, how do you do it? Your youthful green looks and your cheeky grounded base, which is looking rather wooden and at home are something to behold. Your shape shifting from a mere onion to a Spring Onion has left the landlady in awe. Such is your beauty she would never dream of eating you. You need no words Mr. Onion, as with all good sages, you demonstrate your power with your growth and inner radiance that simply projects and shines. Mr. Onion the landlady is all the wiser for having met you. Thank you Mr.Onion for demonstrating, so beautifully, how no matter how much of you is stripped or cut away, even halved, growth is still possible. Reaching for the stars, from within, is always possible. Upwards growth is the key isn't it Mr.Onion, as Yogi Bhajan always said, when you can't do anything about your longitude or latitude, do something about your attitude by choosing your ALTITUDE. LOVE THIS!!!! Oh Mr Onion. I have millions of Mr Onions in a bag in my fridge making similar shoots! Also potatoes with little shoots. Where does he find the energy to grow?! Goodness - that's incredibly profound!